2-Step Verification on your Facebook account is a great way to ensure that no one can misuse your account. It uses a security code along with your password to facilitate a secure login. The security code is also generated by Facebook mobile app, but it isn’t used by since Facebook app is notorious for being a battery drain. But did you know that there is another way to enhance security when using Facebook on mobile? For this you would require a third-party app known as ‘Google Authenticator’. 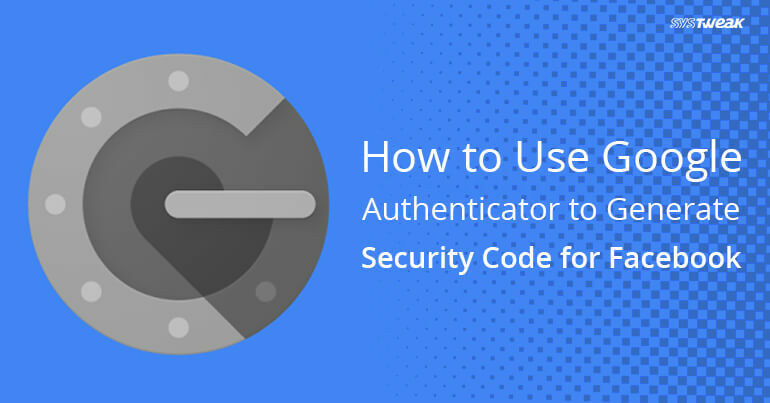 So, without further delay let’s learn how to setup Google Authenticator to generate the security code. Login to your Facebook account and click on down arrow located at the top right corner of the screen. Now from the drop down menu select Settings option. Select Security and login settings to proceed further. Scroll down and click on Use two-factor authentication to expand. Here in Code generator section click on third-party app. This will open a new window containing a QR code and a Secret key. To set the things up you can either scan this QR code via Google Authenticator app or manually type the Secret key into it. Tap on Google Authenticator app to launch it. Now tap on red dot located at the bottom left corner. You will now receive two options either to scan the barcode or enter the key manually. If you tap on Scan a barcode then it will open the camera of your phone. Scan the QR code with your camera. If you tap on Enter a provided key then you have to manually fill all the details like account name of your Facebook account and the Secret key which you received from Facebook. After successfully adding both the details click on ADD button. Once you successfully scan the QR code or enter the details you will find a new six digit code with Facebook and your account name written below it. Now enter the security code generated via Google Authenticator app into the field Security code. Once the correct code is entered you will find a check sign. Click on Confirm to proceed. Now the final step, enter your Facebook profile password and click on Submit. That’s it. Now you can successfully use Google Authenticator app to generate the security code for your Facebook account.